Help us make ebooks free! You probably have never heard of Soso Tham. We certainly hadn’t until a few weeks ago. You’ve probably never even heard of the Khasi people, 1.6 million of whom live in the foothills of the Himalaya. Soso Tham is the best known poet of the Khasi language. If you’ve never heard of the Khasi in the first place, that’s just an abstraction. But imagine being poet Janet Hujon, who grew up in Shillong, the capital of the Meghalaya state in eastern India. 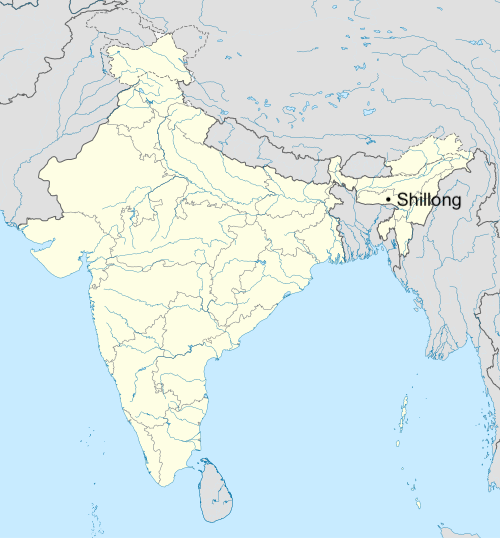 She lives in England, where most folks, like us, probably haven’t heard of Khasi, Shillong, OR Maghalaya. She writes in English, but the stories she heard as a child continue to fire her imagination and the Khasi culture, as embodied in the poetry of Soso Tham, form the foundation of her world view and literary work. It must frustrate her that Soso Tham’s poetry is inaccessible to the English speaking world. When you love a poem, you have to find a way to share it. At unglue.it, we’re all about sharing the writing we love, and Janet Hujon’s heart must be extra-extra large to for her take on the monumental task of finally sharing Soso Tham’s work with the rest of us. We have the privilege of being able to help Janet and Open Book Publishers share her new translation of Tham’s masterpiece The Old Days of the Khasis with the world, under a Creative Commons license. The campaign ends midnight Friday (EDT), and already, $1,400 has been raised. “I was motivated to write this book not only because ‘Tales of Darkness and Light’ is not widely known in English, but also because it is not well-known by many in India. There are those (who are not native speakers of Khasi) who recognise the poem’s greatness but they are few and far between, partly because Khasi is a minority language. Northeast India has ‘exotic’ connotations, because unlike the dominant Hindu and Muslim identities we did not have a script until relatively recently and were considered ‘backward’. Those old colonial prejudices towards the East have played a role in shaping the rest of India’s comparative ignorance of life in Northeast India and translating Tham’s work into English has, perhaps paradoxically, offered one way to address this issue. If you want to learn more about the Khasi and their matrilineal society, you should watch this 20 minute documentary on YouTube. To help us help Janet, go to https://unglue.it/work/291736/ and chip in.